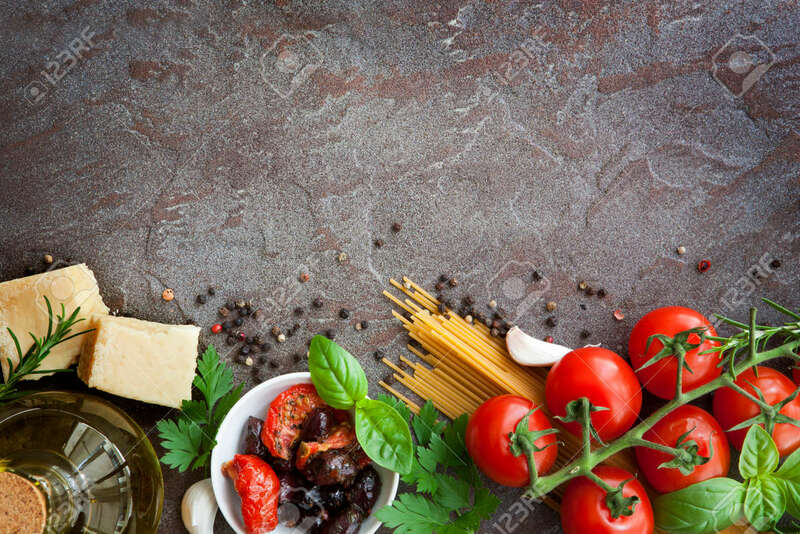 Don’t you hate that moment when you’re about to start cooking dinner, and you realize one of the ingredients you need has gone bad in your fridge or spoiled? There are some tips and tricks to avoid having this happen again. At the same time, you’ll avoid wasting food, avoid going back to the store when you’re missing an ingredient, and you’ll save time and money. Read Part 1 of this topic here: Make Your Food & Supplies Last Longer. First of all, it’s worth mentioning that keeping your fridge clean and organized is the first step towards making food last longer. Also, your fridge should be chilling food between 38 to 40 degrees Fahrenheit. Fresh herbs make everything delicious, but they can be hard to hold onto for long periods of time. Basil, Parsley & Cilantro – Trim the ends of these herbs before placing them in a glass with an inch of water at the bottom. Keep the glass on the counter, and place a plastic bag over the herbs. Chives, Thyme & Rosemary – Keep these herbs in the warmest part of the fridge, and keep them wrapped in plastic wrap. Do not wash these until right before you use them in a recipe. Dry Herbs – Chop herbs and leave the pieces on a plate in a cool place for a couple days. Transfer them to a bag in the fridge. Milk – Don’t keep your milk in the door of your fridge, where it is not cold enough. Cheese – Rub butter on the sides of the cheese that have been cut. Keep the cheese wrapped when it’s in the fridge. Butter – You can freeze butter to make it last longer. Sour Cream – Keep the container upside down. Berries – Put a little bit of vinegar in the water you wash your berries with. Place them in a bag with a paper towel inside, and store them in the fridge. Bananas – Separate bananas, and cover the tops with plastic wrap or foil. Don’t keep them in the fridge. Lemons – Puncture a lemon to make it last longer. Green Onions – Keep them in water on the counter. They will continue to grow. Lettuce – Wash lettuce and wrap it in a damp paper towel. Carrots & Celery – Chop these, and keep them in water inside of the fridge. Mushrooms – Wrap them in paper towels before storing. Tomatoes – Keep tomatoes outside of the fridge and on the counter with the stem side down. Eggs – Do not remove eggs from the carton. Keep them in the middle of the fridge. Meat – Store meats in the bottom of the fridge where it’s coldest. If you aren’t using it right away, keep it in the freezer and wrapped in foil. Fish – Keep unfrozen fish on top of ice, or freeze it. Place an apple among potatoes to make them last longer. Make sure your potatoes are in a dark and dry place. Contrary to popular belief, do not store bread in the fridge. Keep it in a plastic bag on the counter. You can also transfer food to airtight containers when you bring it home from the store to avoid it getting stale. Good luck making your groceries last! This entry was posted in Food and tagged cooking, food, groceries, life hacks, life pro tip, refrigerator on December 16, 2014 by editor. As soon as those Thanksgiving leftovers are packed into the fridge, we know it’s time to start prepping for the biggest holiday of them all: Christmas! Put away the Thanksgiving Handbook: Décor, Recipes & Tips and prepare yourself for a very Merry Christmas this year. Dinners on Christmas Eve and on Christmas Day are some of the biggest meals of the year. You need lots of food on hand while spending afternoons and evenings with families and guests. You are definitely going to need some appetizer recipes up your sleeve for this holiday. Don’t forget how delicious a dip and some toasted bread can be. Bring out the comfort food! Whether you’re hosting or attending multiple holiday get-togethers, this can be a great treat to whip up. Make this dip from Host the Toast using Italian sausage, frozen spinach, canned artichoke hearts, skim milk, olive oil, Greek yogurt, onion, garlic, mozzarella, parmesan cheese, asiago cheese, vinegar, red wine, mayo and cream cheese. Serve it with your favorite crackers or a toasted baguette. Be careful because you may just want to eat it with a spoon; it looks so good. This recipe is cooked in the crockpot after browning the sausage. Let it sit for three to four hours. We promise, it’s not Christmas without cheeseballs. You don’t have to resort to stopping by Hickory Farms to enjoy this holiday treat. Sarah and Zach of the food blog High Heels and Grills posted this tasty looking appetizer to share with friends and family during the holidays. 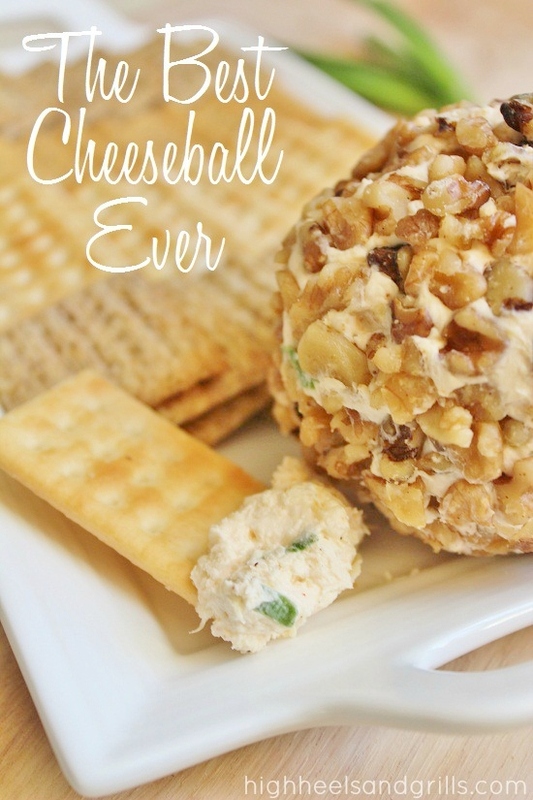 It consists of cream cheese, crushed pineapple, Lawry’s seasoning salt, green onions and chopped pecans or walnuts. Whip the cream cheese and refrigerate for one hour. Add all of the remaining ingredients (excluding the pecans or walnuts). Form the mixture into balls and roll them in the pecans or walnuts. Put on a serving platter and enjoy with crackers. A batch of snickerdoodles are sure to make everyone smile. Try this recipe from Averie Cooks, which was inspired by the Mrs. Field’s signature cookies. This Christmas cookie recipe uses cream of tartar and two types of sugar. Don’t forget the sugar and cinnamon mixture to roll the cookies in. 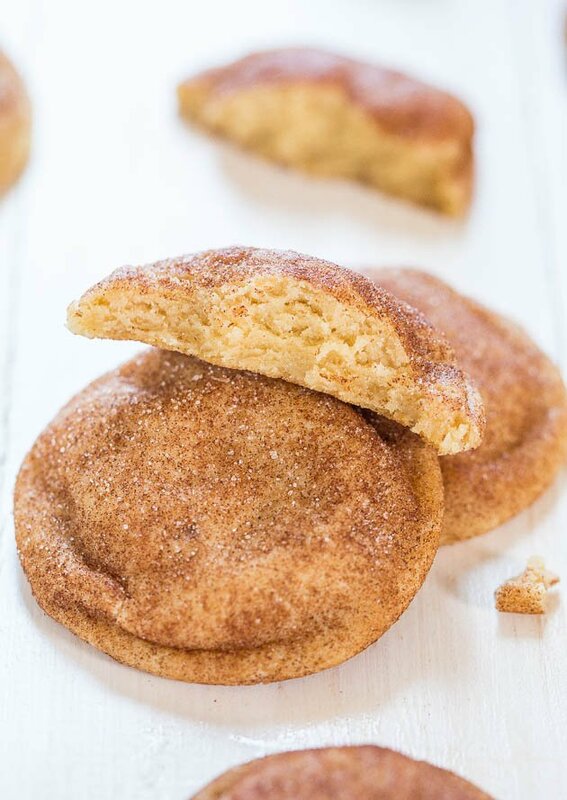 Snickerdoodles are great for afternoon snacks, to eat with coffee after dinner or to put out on the buffet table during get-togethers. You could also put them in bags and include them in your family’s stockings. 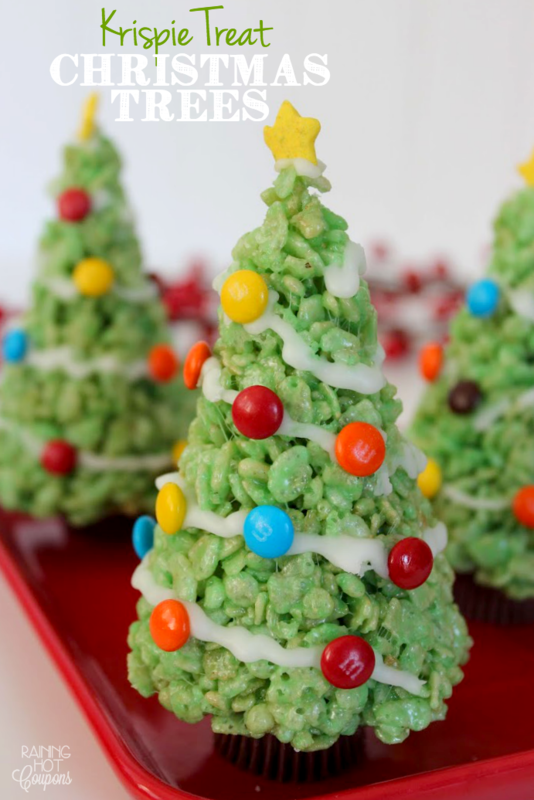 Sarah from Raining Hot Coupons shared this fun and easy recipe for making Rice Krispie treats in the form of a Christmas tree. First, you’ll follow her instructions for making the Rice Krispie treats with green food coloring. Then, shape the Rice Krispie treats into cone or tree shapes. Allow these to cool. You can now add the garland to the trees by piping on a mixture of milk, corn syrup and powdered sugar. Ask the kids of the household to decorate the trees by using mini M&Ms as ornaments. Top each tree with a candy star by using icing as a glue. Lastly, glue the tree to the top of a Reese’s. Allow the trees to set and add these to your Christmas spread. Go with a beautiful roll cake for dessert with this recipe from Roxana’s Home Baking. Roxana, a self-taught baker, remembers eating this cake with her family around the holidays. 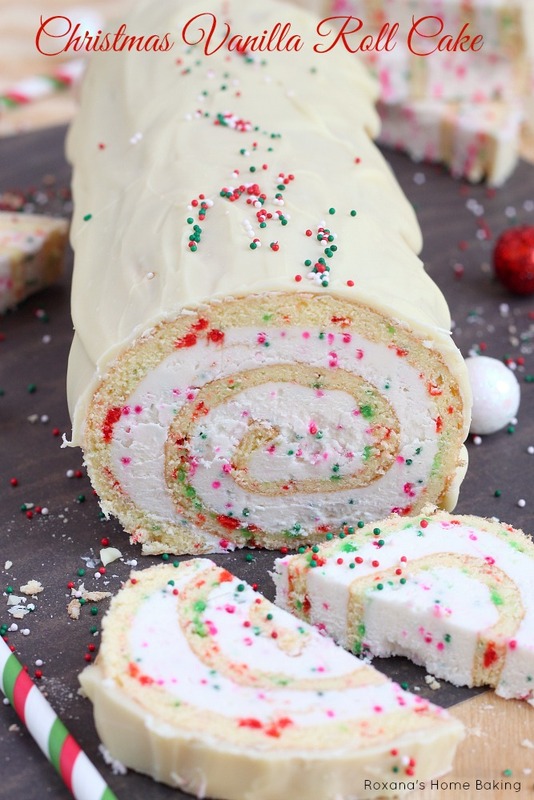 She used vanilla cake, vanilla butter cream frosting and red and green sprinkles to decorate her roll cake. You can also use confetti and white chocolate chips to add personality to this dessert. Get into the holiday spirit and show it in your home décor. There are a lot of simple decorations you can put together to really make it feel like Christmas. Create personalized place settings for your guests with candy canes. Tie three candy canes together and place a name tag on the easel created by the candy canes. You can also use this project to label food platters and drinks if you’re eating buffet style. Use this project from The Katie Brown Home Workshop to surround a flower vase with candy canes. Place the candy canes under a rubber band to hold it down, and hide the rubber band with a red ribbon. Arrange white or red flowers in the vase; roses work well for this. Now you have a centerpiece of your dinner table. 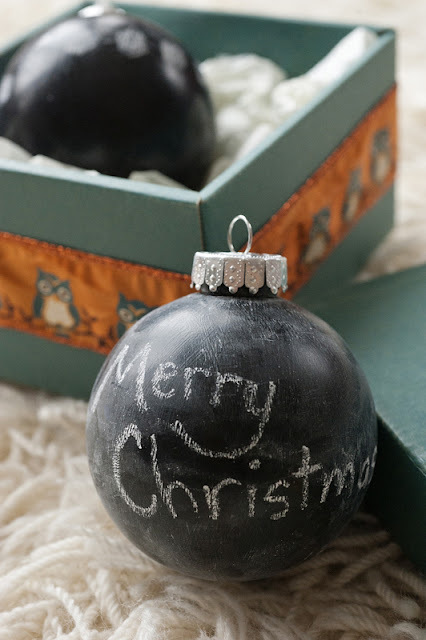 You can easily create chalkboard bulb Christmas ornaments with some clear plastic bulbs, chalk and chalkboard paint. Follow the instructions for the paint you buy, and condition the chalkboard paint by covering it with chalk and wiping it clean. Write messages to each other on your chalkboard ornaments, draw pictures and do something different with them each year. This project comes from Michelle at Rust & Sunshine. Julie of Redhead Can Decorate saved a pallet from a delivery to her home, painted it and decorated it to create this beautiful Christmas tree decoration for her home. She used ornaments she bought at a thrift store and lights she already had on hand. 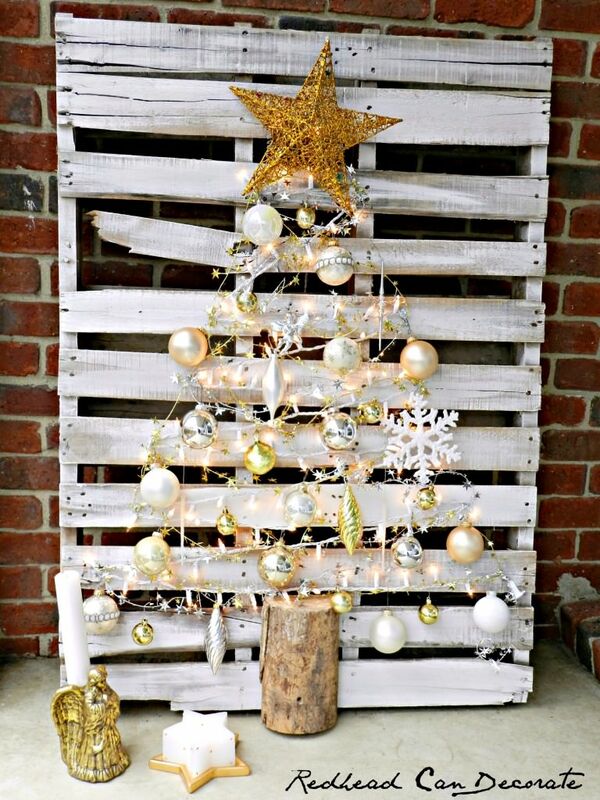 She put nails in the pallet in a zigzag pattern and strung the lights and garland from the nails. She also screwed a piece of tree stump to the pallet. This DIY project will look fantastic and add light to your home. -Are people staying over in your home? Make a breakfast casserole or breakfast lasagna. Put it together before guests arrive, and pop it in the oven in the morning for a no-fuss breakfast for multiple people. -For every one foot of Christmas tree, you need 100 lights, nine feet of garland and 20 ornaments. -Store ornaments in plastic cups and egg cartons with plastic tubs to keep them from moving around and breaking. -Put icing in condiment bottles for an easier way to decorate cookies. -Buy removable plastic hooks that you can put on any ornaments. This is great for when you have a bunch of ornaments that came without hooks or if the hooks have gone missing over the years. -Make a stylish trash can for used wrapping paper. Wrap a cardboard box in Christmas wrapping paper, and throw paper into the box as you open your presents. -Use command hooks for hanging wreaths on the door and any Christmas décor around the house. Now you don’t have to use nails or damage the walls. -Wrap Christmas lights around clothes hangers for storage. -Find a hot chocolate recipe that’s made in the crock pot for an easier version. -Keep a cardboard wine crate to organize wrapper paper in your closet or garage. -Download and print a Christmas planning guide, so you won’t have to remember everything you need to buy and do off the top of your head. This will also help you save money as you stay on a schedule and buy things when they go on sale. -Replace your Christmas lights with LED lights, which produce less heat and save on electricity. Merry Christmas! We hope you now have some new ideas you can try out for food, décor and tips and tricks. May you create some beautiful memories and new traditions. Now That’s a Range Hood! Now, that’s a real range hood! This entry was posted in Home Improvement, Humor, Range Hoods and tagged funny, humor, range hood, range hoods inc on December 5, 2014 by editor.